The cool breeze rustles through the open-air hot spring bath at Higashiyama Sou, a Kinosaki hot spring inn. 4 minutes from the station and 1 minute from the convenience store. A guide to Higashiyama Sou's main inn. From the privacy of our two private open-air baths guests can enjoy a stunning view of the starlit night sky. 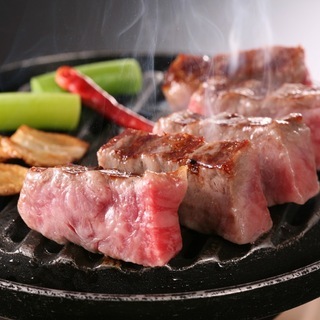 Located only a 4 minute walk from Kinosaki train station. Take advantage of our premier location to tour around the seven famous open-air public hot spring baths in Kinosaki, we provide you with free admission tickets. Let your tired mind be set at ease by the inspirational morning views of Maruyama River's misty scenery. Guests can enjoy such tranquil natural scenes of the river along with inspiring views of the town from their rooms. Not to forget, our elegantly constructed private open-air bath creates a sense of separation from the stresses of everyday life. Guests can use the private bath for free for up to 40 minutes. Reservations for the bath can be made upon check-in into the inn. Reservations for the bath sometimes can not be made with late check-in times. First come, first serve basis. Partial barrier free guest rooms are available upon request, please contact us for more information. Check-in is available from 3:00PM (until 6:30PM). *Please note that guests who arrive after 7:00PM will not be served dinner and bookings will be cancelled. [Meal Times] Dinner: 6:00, 6:30, or 7:00(PM). Breakfast:7:30, 8:00, or 8:30(AM). (Please indicate your preference at time of check-in.) 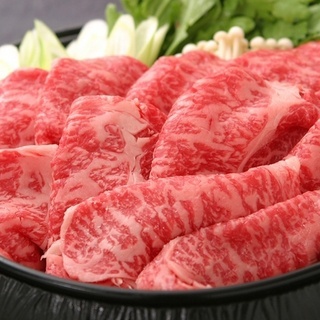 [Dinner Menu] ・Appetizer(Kids：none) ・Tajima beef shabu-shabu and vegetable hot pot (includes a 150g(kids100g) serving of Tajima beef per person) ・Tajima beef steak (50g serving per person) ・Fish Sashimi ・Rice ・Japanese Pickled dish ・Dessert [Breakfast Menu] ・Tofu ・Dashimaki(Japanese-style omelet) ・Assorted dishes ・Kamaboko (cured surimi) ・Grilles fish(Kids：none) ・Rice ・Miso soup ・Japanese Pickled dish *Menu items are subject to change due to seasonal availability. *Elementarary School：A few menu than an adult menu [Plan Highlights/Other Services ] 1. The Seven Onsen free ticket is included. *3:00PM~11:00PM , 7:00AM~10：00AM. 2. Chartered Open-air Private Bath. 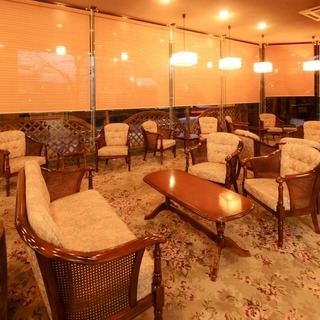 (40minutes：FREE)*The reservation only at the time of check-in.First come, first serve basis. *When arrival is late, the guests cannot make a reservation.3.Hotel Public large bath(2F).4.Transportation Shuttle-Bus Service : Only One Way *Kinosaki station to Hotel : 3:00PM~until6:00PM.5. Luggage storage service available before check-in and after check-out.6. WiFi access available only around 1st floor.7. 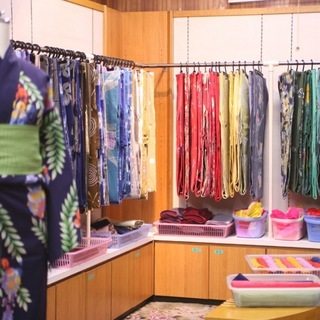 Included free rental service design-yukata *Only Lady guests, 3:00PM ~until 10:00AM. 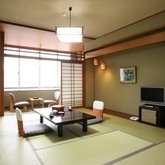 Included free rental service design-yukata *Only Lady guests. Private open-air bath:（40minutes：FREE:The reservation only at the time of check-in.）First come, first serve basis. *When arrival is late, the guests cannot make a reservation. WiFi access available only around 1st floor. *Check-in is available from 3:00PM (until 6:30PM). dinner and bookings will be cancelled. *No charges are given to infants who do not require meals or bedding. Infants that do require something (meals, bedding, or yukata) will be charged according to the required items pricing. Please check the reservation page for a list of options. Children 7~12- same charge as adults. Includes dinner(portions are smaller), breakfast, bedding, and yukata. Children 1~6- Full set charge is JPY 6,000+Tax. Includes dinner(served as a kids meal), breakfast, bedding, and yukata. 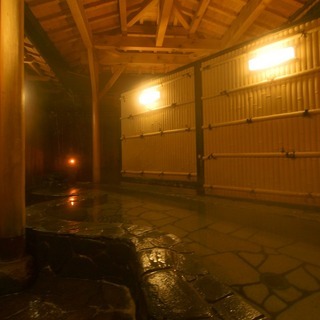 A separate fee for use of the baths will be added (JPY 150). (No show(100%), Day of(100%). Cancellation notifications given at least 24 hours before your reservation do not incur a cancellation fee.